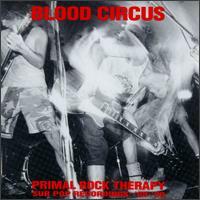 In 1988, Sub Pop released the band's only album, a 5-track EP called Primal Rock Therapy. It was re-released in 1992 with additional tracks, which pretty much covered the bands entire catalog of recorded material. They called it quits in 1990. If you watch carefully, you can see the band briefly performing an unreleased song in the movie "Hype". Originally released in 1988, re-released in 1992 with five additional tracks from the 80s. Produced by Jack Endino. Click To Buy It!